When it snows you’ll be more than happy for the money you invested in the best cordless snow blower, no the cheapest snow blower. Far too many people make the mistake of buying the cheapest model and then they feel disappointed when it lets them down. You really do get what you pay for when it comes to cordless snow blowers. The quality of the components are what separates a great snow blower from an inexpensive snow blower. Trust me, when it snows, you’ll wish you spend the extra money for the better model. If you’re considering to swap the snow shovel for an entry-level snow blower, but you’re uncertain which one is best for you. If you live in an area where the snow is light and powdery and the shovel works okay but it’s back-breaking work. You’re one of the folks who would rather use a shovel than be bothered with the complications of snow blowers. You dread the thought of snow blowers with augers, chutes, drives and gas motor maintenance. You also do not understand the differences between one and two stage snow blowers. We have good news for you. Cordless snow blowers are a clean environmentally friendly solution that will not wake the neighbors if you use it at 4 in the morning. Single-Stage or Two-Stage Snow Blower? The single-stage snow blower is relatively small and lightweight. It’s a sensible upgrade from a snow shovel. Single stage snow blowers are the least complicated snow blowers and perfectly suited to powdery snow up to 10 inches. A spinning auger pulls in the snow and then project it out through the discharge chute. If you regularly see 3 inches to 9 inches of lightweight snow, a single-stage snow blower may be all the machine you need. 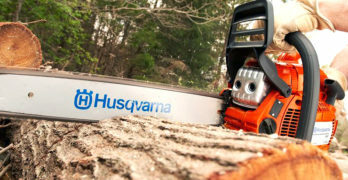 They are lighter, more maneuverable, perfectly suited to cordless power, and less expensive than two-stage machines. The two-stage snow blowers use a serrated auger to pull in the snow as stage one. Next, an impeller takes over and launches the snow out the top discharge chute. (stage two). Two-stage snow blowers are heavier and more complex and usually self-propelled. They handle snow as deep as 13 inches or more, and the chute does not clog up easily. They are also easier to on steep driveways and sidewalks. If you experience deeper, powdery snowfall in your area, or if you have a steep driveway or pavement it may be the most suitable. Before the advent of cordless tools, to me, waking the neighbors at five in the morning with a noisy gas-powered snow blower was the pits. I only had a gasoline blower at my disposal, and I also hated the way it refused to start when cold. I figured that I’d rather use a corded snow blower. I imagined being able to press a switch and quietly do my bit without annoying the neighbors. Today’s technological advances make cordless snow blowers an even better alternative. They have advanced to the point that cordless snow blowers are now a viable option to the noisy, smelly gas engine, with its maintenance issues. Buying a snow blower online means you need to understand the different features of modern snow blowers and know what to look for. However, do we all know why one, two, and three stage blowers exist? Why do we have to choose between the three? Is it an important decision when all you want to do is clear the driveway in the quickest possible time? Isn’t the number of speeds more important then? We will address all these issues and, at the same time, introduce the three modern, cordless snow blowers listed below. Snow Joe ION8024-XR — 24-inch : The most powerful of the three cordless snow blowers. It’s the only self-propelled two-stage snow blower, and it has four selectable speeds. EGO Power+ snow blower (SNT2102) : 21-inch : Cordless single stage snow blower with two 56V 5.0Ah Lithium-Ion batteries & Rapid Charger. We’ve all seen some remarkable advances in battery technology in the last few years, and we all appreciate the new-found power sources. However, we are not all aware of the advances in brushless motor design that make the best possible use of the additional power. I’m not sure when the first brushless motors were used commercially. I first became aware of their existence in the 1970s when they appeared in various computer drives like tape, disk, and stiffy. By eliminating the friction of sliding contact brushes, brushless motors have less friction and an increased lifespan. The only friction and wear are in their bearings, which should last almost indefinitely. Brushless motors do not lose torque linearly to speed increases like brushed motors. More advantages over brushed DC motors include high torque to weight ratio and increased efficiency from more torque per wattage. It has lower noise levels, and the elimination of ionizing sparks from the commutator reduces electrical noise and electromagnetic interference (EMI). Significantly improved cooling requires no airflow inside the motor for cooling. It offers the advantage that you can completely enclose the motor, protecting it from dirt. 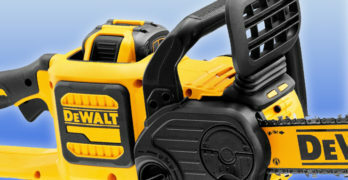 Brushless motors are now prevalent in many modern cordless tools. We use them in mobility scooters, lawn mowers, self-balancing two-wheelers, and countless garden and shop tools. Their application in snow blowers is therefore merely a logical addition and largely responsible for the increased torque needed to remove snow. How do they compare to gas-powered snow blowers? Remarkably well, in the review I will compare them, and I will discuss their advantages and disadvantages. Advanced technology makes this 2-stage battery snow blower possible. ✓ View or download the MANUAL for the Snow Joe ION8024-XR, battery-powered snow blower. The Snow Joe snow blower is 24-inches wide and is powered by a 2500W brushless motor. The Snow Joe is the only self-propelled snow blower of the three. It features a 4-speed digital drive system. The drive has three forward speeds selectable with three push buttons. This is the wonder of cordless snow blowers, controlling it is easy, done mostly with buttons. You select the speed according to the snow conditions when cutting snow. For reverse travel, you press the reverse button. An XPORT drive button selects the fastest speed at the end of the snow-clearing run when returning to base. When in the reverse or XPORT mode the auger does not engage. The snow blower uses two EcoSharp rechargeable lithium-ion batteries providing 80V maximum. The two batteries are each 40 Volt 5.0 Ah packs and are compatible with all iON tools. As indicated in the manual, the Snow Joe ION8024-XR snow blower is used to remove light powdery snow. When used correctly, the 5.0 Ah fully charged batteries provide up to 30 minutes of run-time. With the 6.0 Ah batteries, it will work for 40 minutes. This should be enough to clear most driveways on a charge. Should you fail to complete it all in one go, then a second set of batteries will be useful. As one user put it: when the batteries run flat, he happily returns for warm coffee. If you’re equipped with a second set, you can return and finish the job. If not, you have to wait for the batteries to recharge. Both fit into the dual-port charger and a fully discharged set will re-charge in 5 hours at normal indoor temperatures. An important thing about using lithium-ion batteries is that you should never fully discharge them. It can do irreversible harm to the batteries. The batteries are equipped with charge indicator lights, which indicate when it needs to be charged. Two charge level indicators also flank the speed control buttons on the control panel. Lithium-ion batteries do not develop a “memory” when charged after a partial discharge. It is not necessary to run the battery down before charging it. It makes sense to top up the battery after 15 minutes to extend the run time. At the same time have coffee and warm your hands, this machine is not equipped with hand warmers. The drive trigger is on the left handle and the auger trigger on the right handle. The ergonomic trigger grips hold the trigger in place to reduce stress from squeezing The chute control switch is on the left handle, and it controls the motor driving the chute. It rotates 180° to the left and right. A safety switch and keyed power switch control power. There’s also a switch for the headlights. The two 3-Watt headlights obviously drain the batteries, but compared to the 2,500-Watt drive motor it is negligible. The auger has two serrated steel blades. The snow cut can be 13 inches deep, and the dual stage snow thrower will throw the snow up to 32 feet. Its maximum plowing capacity is 1,000 pounds a minute. It is meant for light, fluffy snow, so do not expect it to move heavy drift snow like a big gas-driven machine. The Snow Joe iON weighs only 97.8 pounds with the batteries fitted, so it is easy to move around on the 13″ inflatable wheels. The wheels have wide, knobby rubber tires for maximum traction in challenging winter weather. It does mean you have to keep them inflated. Meaning you have to check them before the snow comes. An integrated scraper bar at the base of the unit enables you to clear to the ground. It protects your deck or pavement from damage, and the front-end of the snow thrower rides on reversible skid shoes for more precise control. 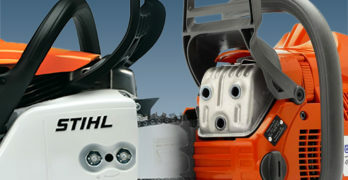 The snow blower is ETL approved and carries a full 2-year warranty. When purchased it Includes 2 batteries and a dual-port charger. This snow blower is perfect for light duty work like light, fluffy snow, it’s a light and convenient tool. Its ergonomic controls are all within easy reach. One user reported that he cleared a drive of 84 feet by 24 to 15 feet, all on one charge. I recommend this machine. 18-inch wide, single stage, cordless snow blower. Rubber-tipped auger is capable of throwing snow up to 30 ft. The PowerSmart DB2401, cordless snow blower clears a path 18 inches wide by 11 inches deep. It is the narrowest of the three snow blowers. Compared to the Snow Joe it is a compromise, its price is only 33% of the Snow Joe’s price. You buy a capable machine that will do its job of clearing the pavement and driveway. But it too is meant for light powdery snow. Because it’s a compromise in price and performance, it means you should keep the snow pile low. This snow blower is equipped with one 40 Volt 4Ah rechargeable battery. It drives an 18-inch auger. Overall, it sounds like the battery will last about 20 minutes when working in 6 to 8 inches snow and longer in light snow. Its single stage auger has a durable rubber tip, and it is capable of throwing snow up to 30 feet. The chute is adjustable through 180° with a little crank handle on the hand grip assembly. The oversized chute handle is easy to use with winter gloves when adjusting the throwing distance. Please keep your neighbors in mind and never discharge snow toward people or areas where you can damage property. Keep children and others away. Your snow blower is capable of amputating hands and feet and throwing objects with the fast spinning auger. The hand grip is coated with foam to make life simpler in cold winter. An oversized auxiliary handle is mounted on the frame behind the chute for easy carrying. The snow blower weighs 34.8 pounds, so it is portable enough to be picked up and placed on a workbench for maintenance. Hand controls are straightforward enough. You hold the red start button in and pull the handlebar lever to start the motor. The lever is the full width of the handlebar, so it is easy to use the snow blower with one hand. It is not self-propelled, you push it, but this lightweight machine moves effortlessly up a driveway slope. There are no additional features, which also means that there is so little that can go wrong. The PowerSmart does not have skid shoes. Instead, a scraper blade is in contact with the pavement, and it is equipped with two small wheels for mobility. To reduce the chance of damaging the scraper blade, remove all loose objects such as rocks, broken glass, wire, newspapers or anything that can be thrown by the snow auger. Best cordless Snow Blower, comes with (2x) 5.0Ah batteries & a Rapid Charger to keep the power flowing. Has the the power and performance of a gas snow blower. At 21 inches, the EGO Power+ is 3 inches wider than the PowerSmart and 3 inches narrower than the Snow Joe. The EGO is another snow blower with two batteries, 56 Volts, 5.0 Ah batteries. The single stage auger is driven by a high-efficiency brushless motor. I would consider this snow blower as another good one for removing light powdery snow. On the Ego website, I see claims that it’s got the power to clear heavy, wet snow. User reviews say otherwise. It is clear that in places where you only get light, powdery snow, this lightweight snow blower might be the snow blower for you. It fails to clear a heavy pack of 6-inch snow, clogging up every few inches. There are also excellent reports from users that successfully use it to clear snow up to 13 inches deep from driveways. The EGO Power+ does not have skid shoes to wear down but a scraper blade at the bottom of the snow blower. It is a plastic blade and does not last well on a pavement, you may find yourself regularly replacing scraper blades. Because of the scraper blade, it clears down to the pavement, and the variable speed auger will throw light snow up to 34 feet. Before clearing, repairing or inspecting the snow blower, stop the motor. Then wait till the auger assembly and all moving parts have stopped. If you are not alone, remove the battery pack(s) to prevent someone from accidentally starting the motor. The adjustable chute can be rotated 90° to the left and right. A convenient handle with a release trigger is used to adjust the throwing height. A control placed within easy reach on the handlebar is used to rotate the chute. It works well, better than the electric motor driving the chute on the Snow Joe. It is not self-propelled, so you provide the power to move it. The snow blower is light and easy to use even though the two wheels are only 7 inches it is not really a problem. It beats using a snow shovel in all respects. Pushing the snow blower into a heavy compacted snowbank left by the street plow on your driveway is hard work though. The EGO Power+ will, in any case, fail to move the snow successfully. EGO is probably best known for its cordless lawn mowers and other outdoor power equipment. The ARC Lithium ION battery batteries are supplied with a quick charger. The snow blower has a set of indicator LED’s, showing the battery charge state and the working status of the snow blower. The power indicator to the left of the controls will illuminate when the auger is rotating or when the LED headlights are turned on. The indicators will flash to indicate when a recharge is needed. A bail switch is located on the upper handle of the snow blower which makes one-handed operation possible. A safety button must be pressed to start the motor. A set of 5.0 Ah batteries provide up to 30 minutes runtime. A 56V 5.0 Ah Battery will recharge in 40 minutes from zero to full charge when used with the rapid charger. It charges in 100 minutes with the EGO Power+ Standard Charger. It is not clear which charger is sold with the snow blower. The fast charge time is made possible by a fan that cools the battery and the charger, which enables a higher charge rate. The batteries are covered when in use to ensure that the snow blower is weather-resistant to the IP04 standard. Meaning it is protected against water spray. The quick-fold handle is equipped with a quick-release lever on both sides so that the handle can be folded down for compact storage. The snow blower is covered by a limited 5 Year Warranty like all EGO outdoor equipment. A 3-year limited warranty is provided on EGO Power+ System battery packs and chargers. The three cordless snow blowers are somewhat limited when compared to gas snow blowers. If you need to move thick heavy snow the gas motor provides the power need to do the job. 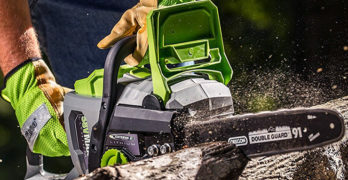 With today’s technology, it is possible to do it with cordless power, but the price is a limiting factor. However, the machine discussed here indicates that it offers some serious advantages over gas. It offers unbeatable ease of use, no-fuss starting, and much less noise, reduced maintenance costs, and less effort. You also have no gas fumes and gas storage issues. We are not always clear on how batteries should be treated to get the best possible use from them. Batteries have a limited lifespan, are expensive and need to be cared for properly. However, charging a battery is effortless when compared to refueling with gas. It’s done without fuss and it’s not so dangerous. Recharging the battery is about the only maintenance needed on the cordless snow blower. There is no fouled spark plug, clogged fuel lines or oil changes to take care of. If you use a cordless snow blower, a snowfall warning means it is time to get the battery ready. Always start a job with a fully charged battery. Use it down to 20% at the most and then recharge it, even if you need to do some more work. Do not run it flat, it damages the battery, and it can even destroy it. It’s best to unplug the battery when you stop using it to avoid any discharge currents that will drain the battery. Also, unplug it when it is fully charged and store it away in a cool, dry place. Do not put it on a cold floor or anywhere where it will be exposed to freezing temperatures. When using it in temperatures near 0°F, take the snow thrower outside and ready it first. Then, when ready to start using the machine, take the batteries outside and use them immediately. Charge your batteries before you store them and then recharge your batteries at least once in 6 months.